Between January 2013 and the start of this series, India-Australia ODIs had produced an average first-innings score of 321. 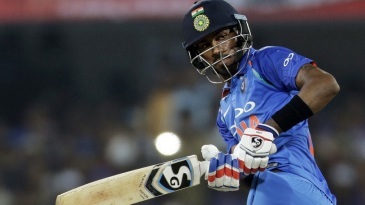 The first two ODIs bucked that high-scoring trend, with India defending 281 and then 252, but a belter of a pitch in Indore seemed set to catalyse a return to the old order. Coming back from a calf injury, Aaron Finch scored his eighth ODI hundred and put on 154 for the second wicket with Steven Smith to project visions of 350 into Australia's minds. 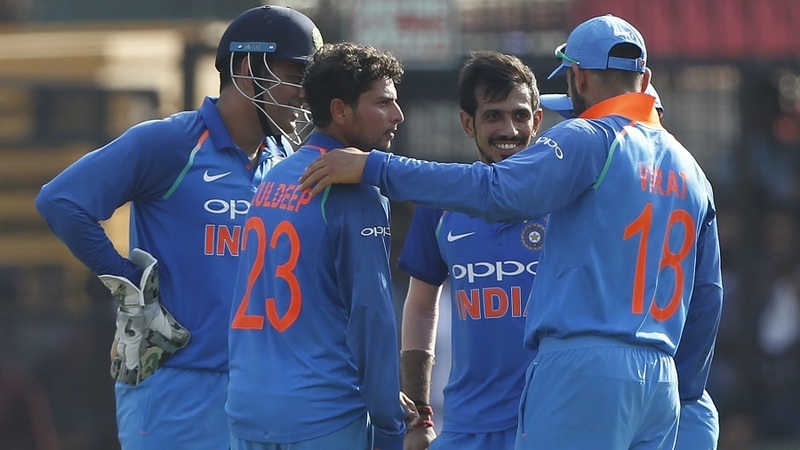 But thanks to their wristspinners, and then their two expert death bowlers, India kept them to 293 for 6, taking five wickets and only conceding 77 in the last 14 overs. Australia didn't get a sniff thereafter, as seventies of varying moods and tempos from Rohit Sharma and Ajinkya Rahane at the top of the order and Hardik Pandya at No. 4 led India to a series-clinching victory by five wickets, with 13 balls remaining. It was their ninth ODI win in a row, equalling their best ever sequence.